Flamenco is an art-form originated from various folkloric music traditions of southern Spain. It includes cante (singing), toque (guitar playing), baile (dance), and palmas (hand clapping) mainly. Flamenco was declared by the UNESCO in 2010 as one of the Masterpieces of the Oral and Intangible Heritage of Humanity. Alberto Marín is the executive artistic director of Alma Productions. He has a degree in Flamenco Guitar from the Catalunya College of Music where he studied with maestros Rafael y Juan Manuel Cañizares. Marín was part of flamenco companies such as Nuria Ventura, Javier Serrano, Los Mulero, Tarantos, and Manuel Fernández. 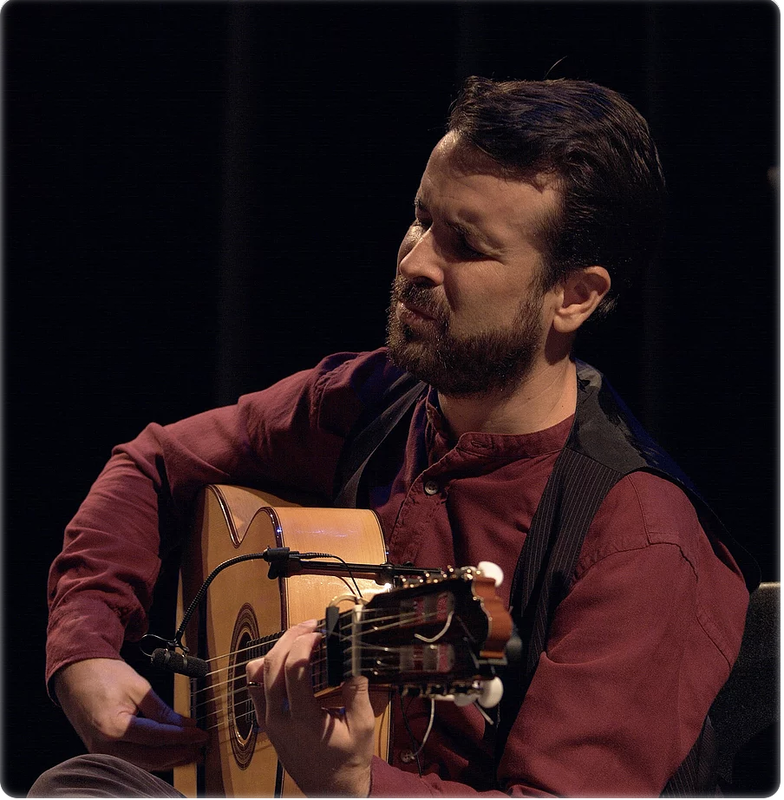 He teaches flamenco guitar and gives masterclasses and workshops around the world. Carlos Sendrós is the artistic director of MusicArts Productions. He received his classical guitar and vocal training from the Liceu Conservatory in Barcelona, Spain. Throughout his 15 year career Sendrós has collaborated with various international artists, touring and performing in various venues and music festivals across Asia.